Marcella “Marcie” Schmeidler, 93, Hays, died Tuesday, December 4, 2018 at Via Christi Village. She was born February 11, 1925 on the family farm near Hays, the daughter of Wendelin and Agatha (Miller) Geist. On October 29, 1949 she was united in marriage to Celly E. Schmeidler in Chase, Kansas, and they celebrated over 58 years of marriage before he preceded her in death on January 22, 2008. 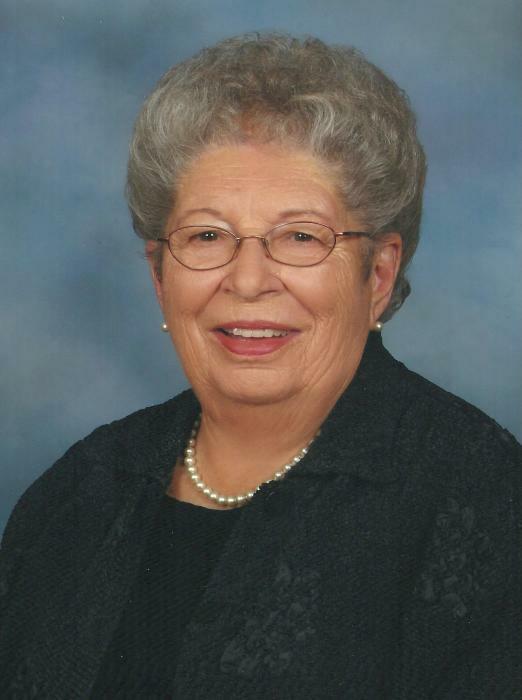 She was a cook and manager at Dan’s Café and manager at Everybody’s Restaurant, a farmwife, and a member of St. Catherine Catholic Church, the Daughters of Isabella Circle #254, and Christian Mothers. Marcella loved her dogs, socializing with her friends, playing cards, gambling trips, cooking, and baking cinnamon rolls, pies, cakes, and plenty of cookies that she always had ready for friends and family. Survivors include her son; Darrell Schmeidler and wife Kathy of Hays, a sister; Mildred Klaus and husband Cletus of Hays, two grandchildren; Thomas Schmeidler of Salina and Tracie Schwab and husband Steven of Austin, TX, two great grandchildren; Raegan and Hudson Schwab, and numerous nieces and nephews. She was preceded in death by her parents, her husband Celly, and by a sister Mary Ann Flax.